Grow your practice. 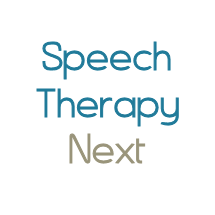 Free profile listings for speech therapists in our speech therapy directory. Get listed today, free. No credit card required. Other sites make you pay up front and you still won't know if you'll get any new clients. Create a profile with us and upgrade when you get referrals. Try us free. When you start getting referrals then you can upgrade. You can read your messages and decide. It's simple and risk free. Your profile has more features than most websites: post articles, events, seminars, discounts, recommendations, and blog entries. Create your profile in minutes and immediately increase your web presence. Simple and easy - no complicated registration processes. Our SEO-targeted campaigns generate referrals for you. Our geo-targeting technology also displays your profile in nearby cities. Your profile is a powerful marketing tool to attract new clients. It's easy and takes only minutes. 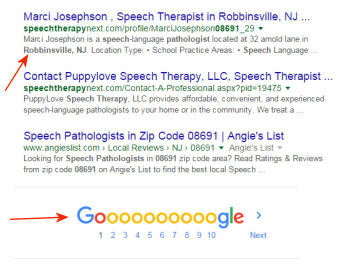 Appear first in search results. Potential clients will contact you right from your profile. More features than most websites. Get phone calls from potential clients. Get emails from potential clients. Your complete practice information, photo, and map. Post and browse jobs, office space listings, referrals. Your own free blog to share your expertise with others. Post and advertise workshops, seminars, and events. Display recommendations from clients or colleagues. Optimized for search engines and mobile devices. Automatic listing in cities nearby to you.